Dr Cheung’s main research interest is “imaging of the eye”, based on the concept that the eyes are the “window” to the human circulation and nervous systems. Changes in the retinal blood vessels and the optic nerve mirror parallel changes in the brain and other organs in the body and can now be imaged using new technology easily. She has conducted a number of major studies testing the validity of different automated computer programs to perform objective and quantitative assessment of a new class of retinal vascular and optic nerve parameters for evaluation of diabetic retinopathy, glaucoma, Alzheimer’s disease and stroke. The findings of these studies have impacted on understanding of major eye diseases and brain diseases, leading to the development of a more targeted and effective screening strategy using state-of-the-art ocular imaging technology for prevention of blindness and early detection of brain diseases, which has immense potential to lead to impactful benefits to both science and society. Dr Cheung is editorial board member of Journal of Alzheimer’s Disease, Hypertension Research, the Asia-Pacific Journal of Ophthalmology, World Journal of Ophthalmology and Annals of Eye Science. 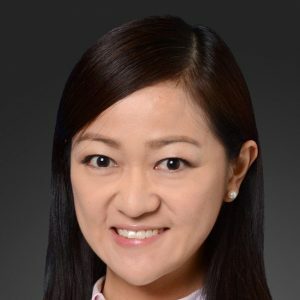 She is also a regular reviewer for more than 15 top ranking journals including Ophthalmology, JAMA Ophthalmology, American Journal of Ophthalmology, British Journal of Ophthalmology, Investigative Ophthalmology & Visual Science, Alzheimer’s and Dementia, Lancet Neurology and IEEE Transactions on Medical Imaging. She also served as a reviewer for international grant funding agencies. Dr Cheung has authored more than 180 original research articles and 19 review articles in SCI international indexed peer reviewed journals, and 10 book chapters. She has received completive research grants from General Research Fund (GRF) Hong Kong, Health and Medical Research Fund (HMRF) Hong Kong and BrightFocus Foundation. Using ocular imaging technology to study human circulation and nervous systems, and link with eye, brain and cardiovascular diseases, in particular, diabetic retinopathy, glaucoma, Alzheimer’s disease and stroke. Development and application of image analysis techniques and artificial intelligence for studying eye diseases including diabetic retinopathy, diabetic macular edema and glaucoma. Identification of new imaging subclinical makers for predicting diabetic retinopathy progression. The role of vascular imaging markers in normal tension glaucoma. Development of risk prediction algorithms based on imaging measures for stratifying patients into different risk categories. Retinal ganglion cell and microvascular network imaging in Alzheimer’s disease. Linking age-related eye disease and Alzheimer’s disease. Developed and validated different methods to quantify retinal vasculature and capillary network. Showed that retinal vascular assessment can provide additional prognostic information on retinopathy risk prediction in persons with diabetes. Demonstrated retinal imaging is a promising tool to study brain diseases including Alzheimer’s disease and stroke. Received competitive research grant funding from HKSAR Food and Health Bureau, titled “Novel Retinal Imaging Biomarkers for Cognitive Decline”, and from General Research Fund (GRF), titled “Automated Optical Coherence Tomography Analysis using Deep Learning as an Artificial Intelligence Tool for Diabetic Macular Edema”. Cheung CY*, Tang F, Ng DS, Wong R, Lok J, Sun Z, Tso T, Lam A, Brelén M, Chong KK, Luk AO, Chan JC, Wong TY, Tham CC. The Relationship of Quantitative Retinal Capillary Network to Kidney Function in Type 2 Diabetes. Am J Kidney Dis. 2018 Jun;71(6):916-918. Ting DS, Cheung CY, Lim G, Tan GS, Quang ND, Gan A, Hamzah H, Garcia-Franco R, Yeo IY, Lee SY, Wong EY, Sabanyagam C, Mani B, Ibrahim F, Tan NC, Finkelstein EA, Lamoureux EL, Wong IY, Bressler N, Sivaprasad S, Varma R, Jonas JB, He MG, Cheng CY, Cheung GC, Aung T, Hsu W, Lee ML, Wong TY. Development and Validation of a Deep Learning System for Diabetic Retinopathy and related Eye Diseases using Retinal Images from Multi-ethnic Populations with Diabetes. JAMA. 2017 Dec 12;318(22):2211-2223. Cheung CY, Ikram MK, Chen C, Wong TY. Imaging Retina to Study Dementia and Stroke. Prog Retin Eye Res. 2017 Mar;57:89-107. Tang FY, Ng DS, Lam A, Luk F, Wong R, Chan C, Mohamed S, Fong A, Lok J, Tso T, Lai F, Brelen M, Wong TY, Tham CCC, Cheung CY*. Determinants of Quantitative Optical Coherence Tomography Angiography Metrics in Patients with Diabetes. Sci Rep. 2017 May 31; 7(1):2575. Cheung CY, Sabanayagam C, Law AK, Kumari N, Ting DS, Tan G, Mitchell P, Cheng CY, Wong TY. Retinal vascular geometry and 6 year incidence and progression of diabetic retinopathy. Diabetologia. Sep;60(9):1770-1781. Cheung CY, Ikram MK, Klein R, Wong TY. The clinical implications of recent studies on the structure and function of the retinal microvasculature in diabetes. Diabetologia. 2015 May;58(5):871-85. Cheung CY, Ong YT, Hilal S, Ikram MK, Low S5, Ong YL, Venketasubramanian N, Yap P, Seow D, Chen CL, Wong TY. Retinal Ganglion Cell Analysis Using High-Definition Optical Coherence Tomography in Patients with Mild Cognitive Impairment and Alzheimer’s Disease. Journal of Alzheimer’s Disease. 2015;45(1):45-56. Cheung CY, Ong YT, Ikram MK, Ong SY, Li X, Catindig JAS, Venketasubramanian N, Yap P, Seow D, Chen CP, Wong TY. Microvascular network alterations in the retina of patients with Alzheimer’s Disease. Alzheimers Dement. 2014 Mar;10(2):135-42.